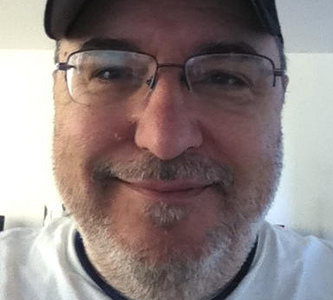 Dave Winer, who has been blogging for nearly 20 years at Scripting News and helped create RSS and podcasting, has a new product out today called Little Outliner. Because of that, Little Outliner is really only a personal tool — there’s no way to share outlines with people who aren’t using the same machine. So it may appeal to people who don’t like storing their stuff in some company’s cloud. However, Winer — who is releasing Little Outliner as the first project from a company called Small Picture with partner Kyle Shank — indicated that he anticipated networked and shared outlines in future releases. Winer told CNET that the product harkens back to his outliner MORE, which debuted all the way back in 1986. 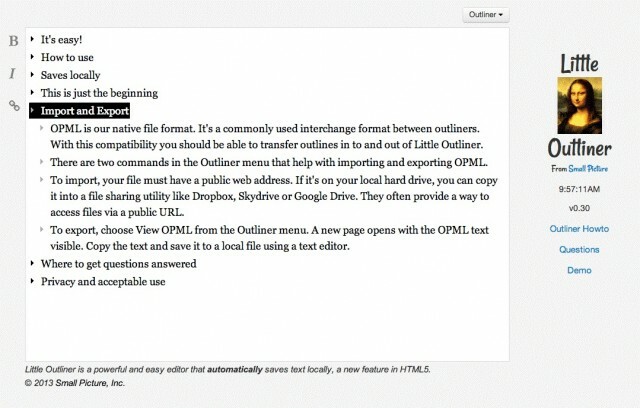 He noted that there are desktop outliners, such as OmniOutliner and Tinderbox, and browser-based outliners, like Workflowy and Trello, but that Little Outliner occupies a space in between.